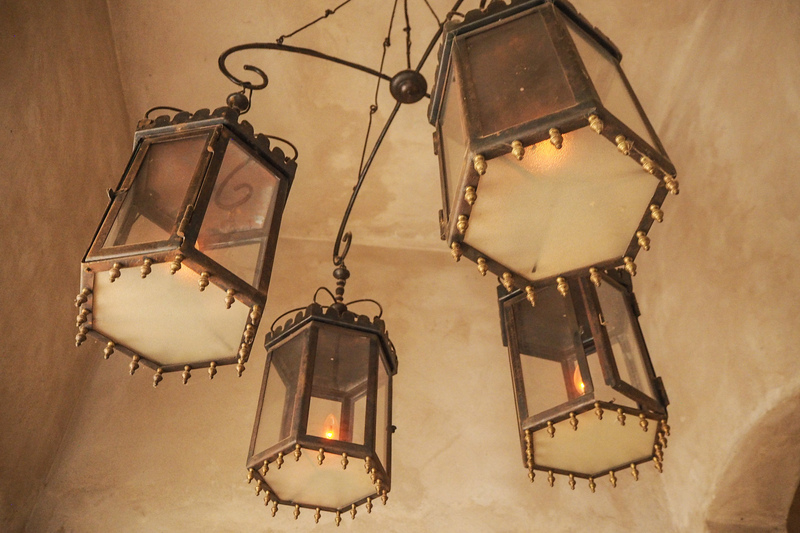 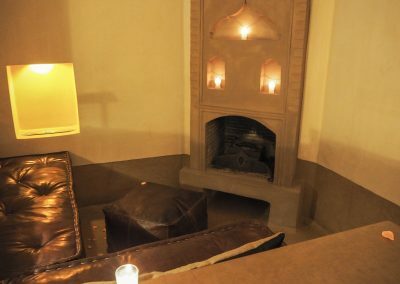 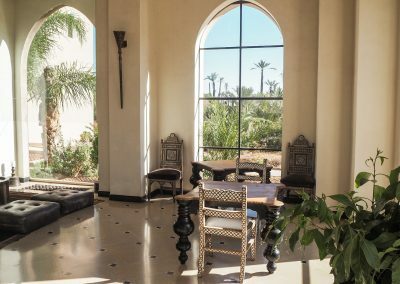 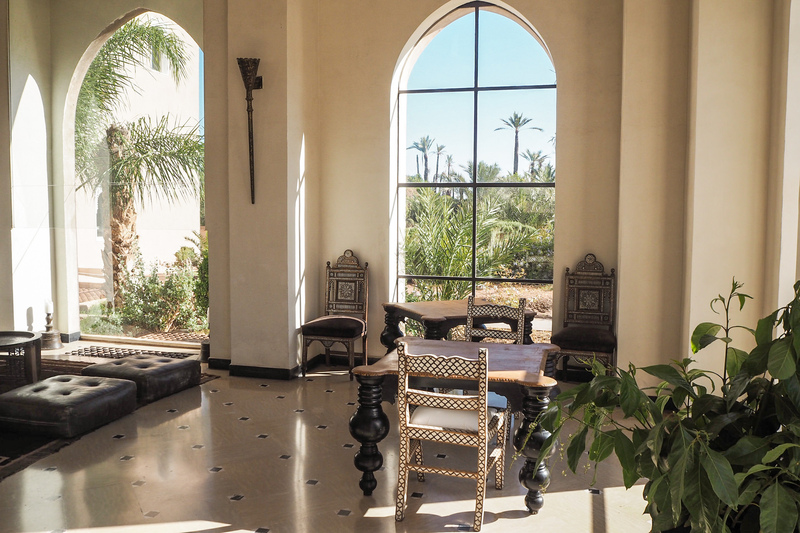 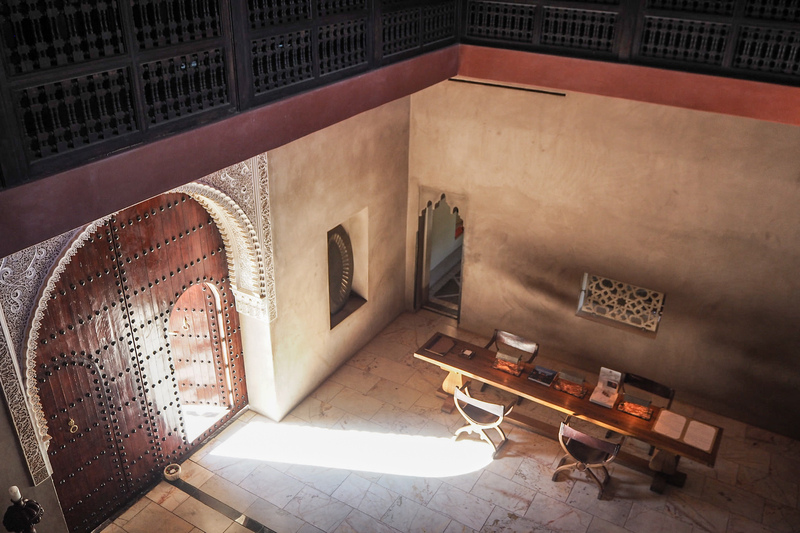 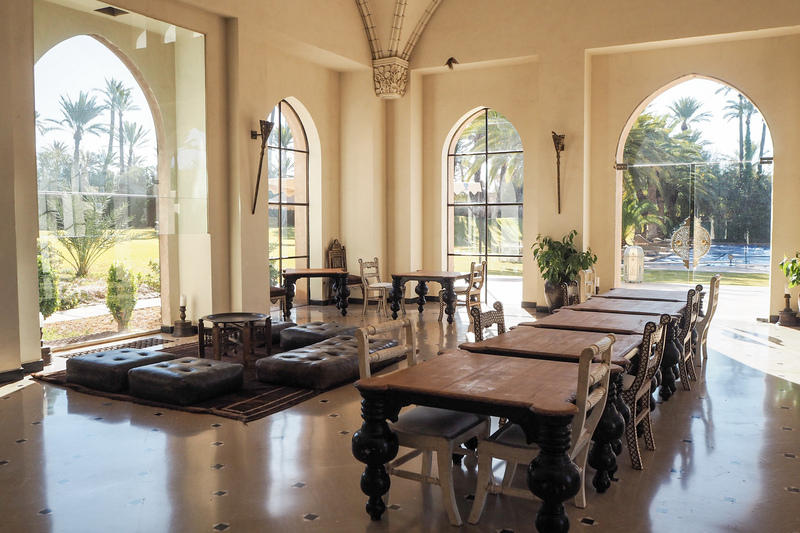 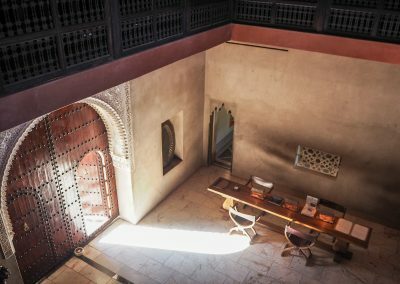 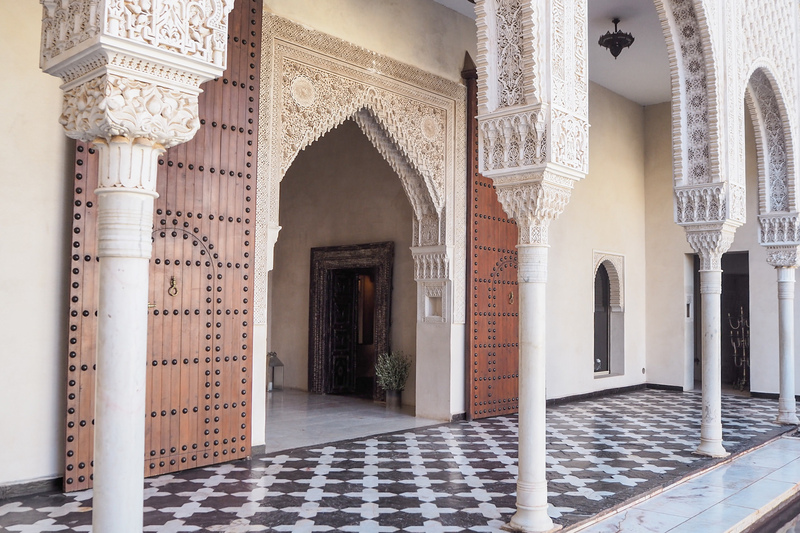 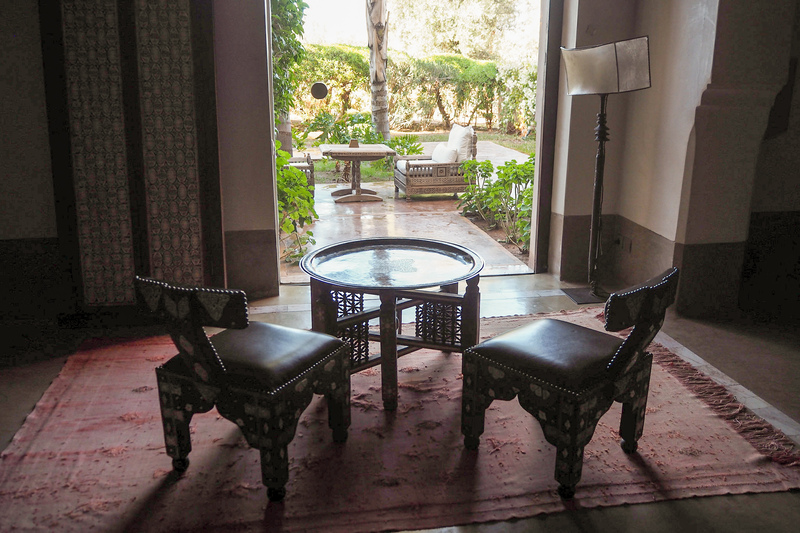 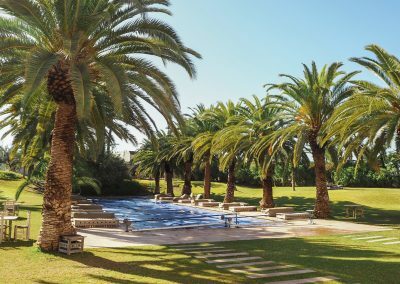 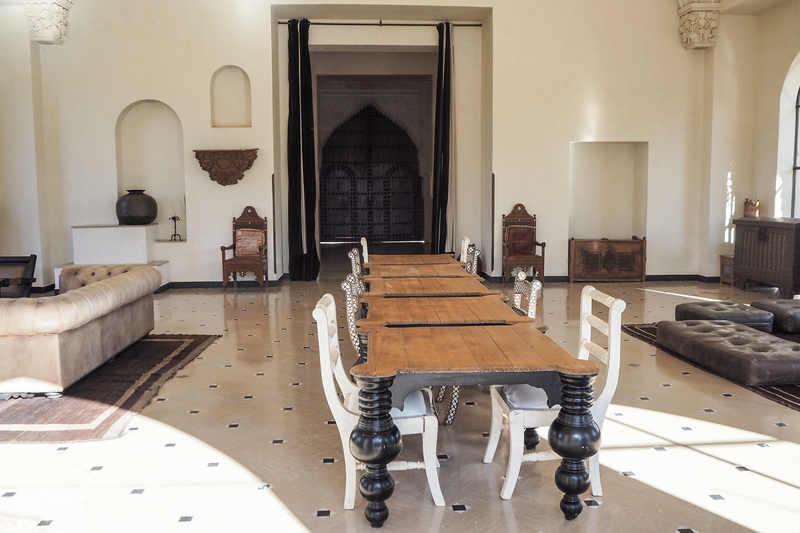 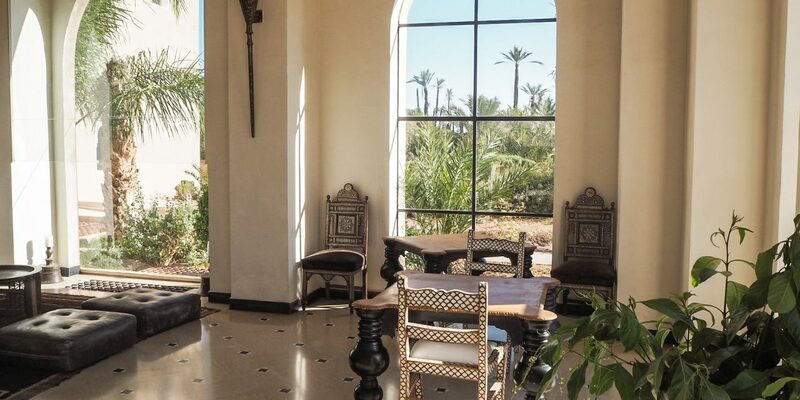 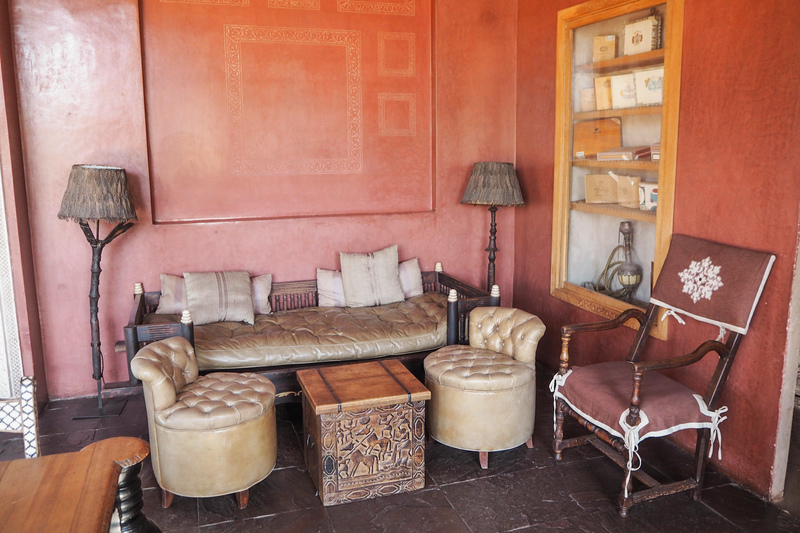 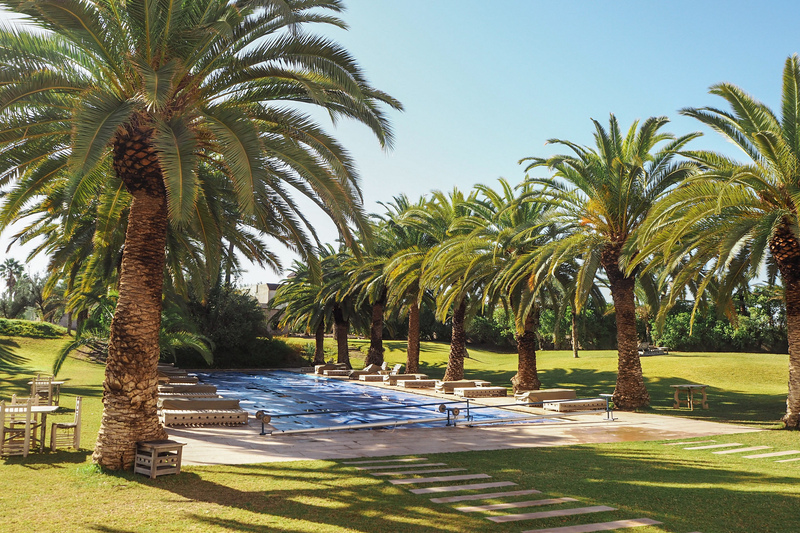 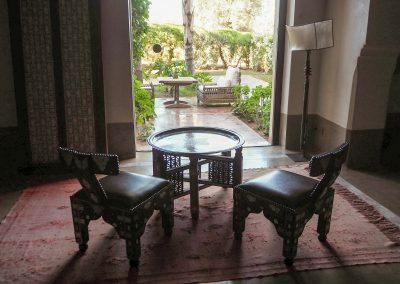 Hidden away from the hustle and bustle of the all the markets in Marrakech, lies the stunning Ksar Char Bagh. 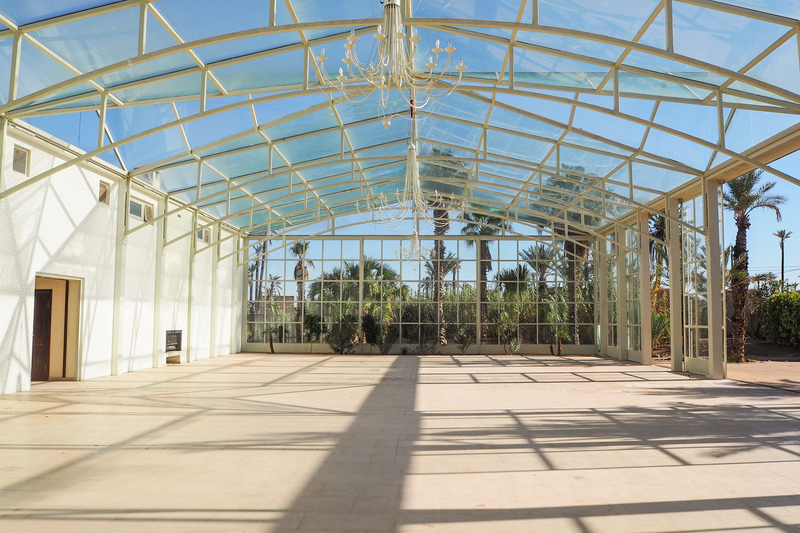 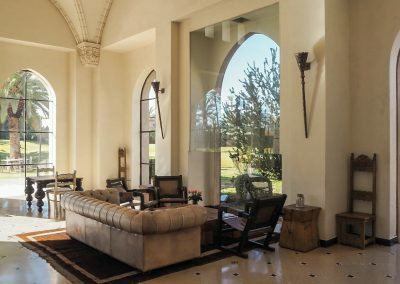 A luxurious Chateaux nestled in the heart of the famous Palmeraie. 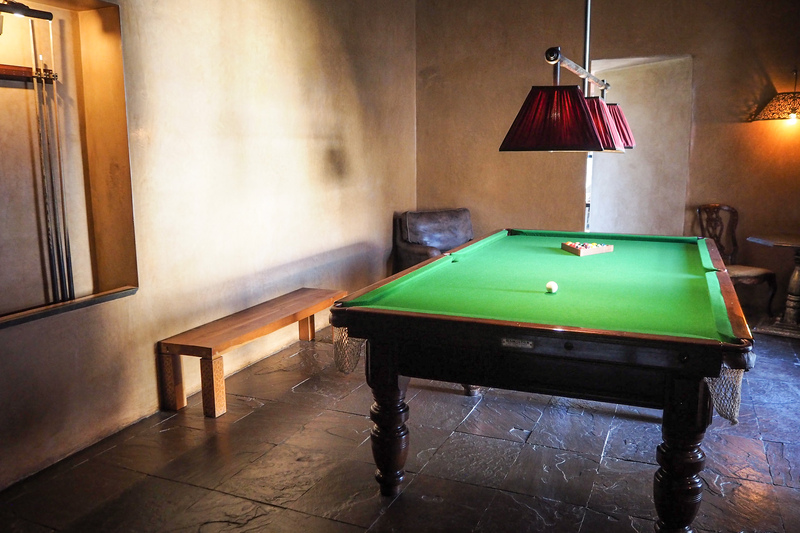 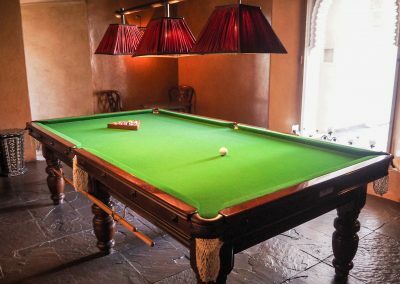 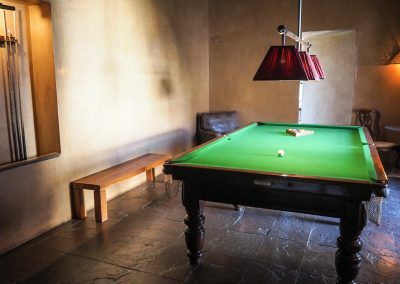 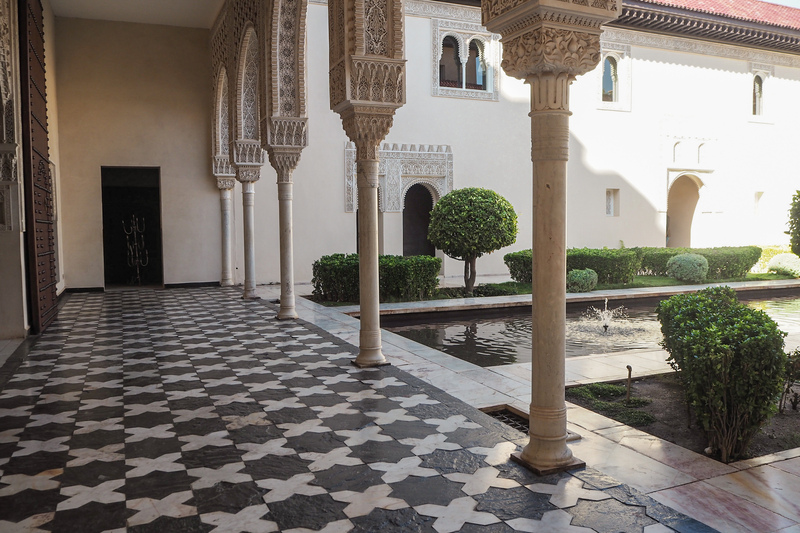 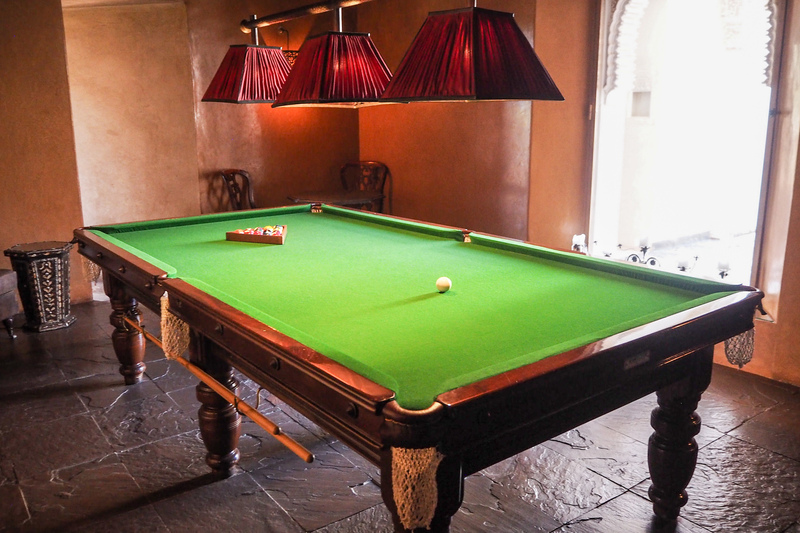 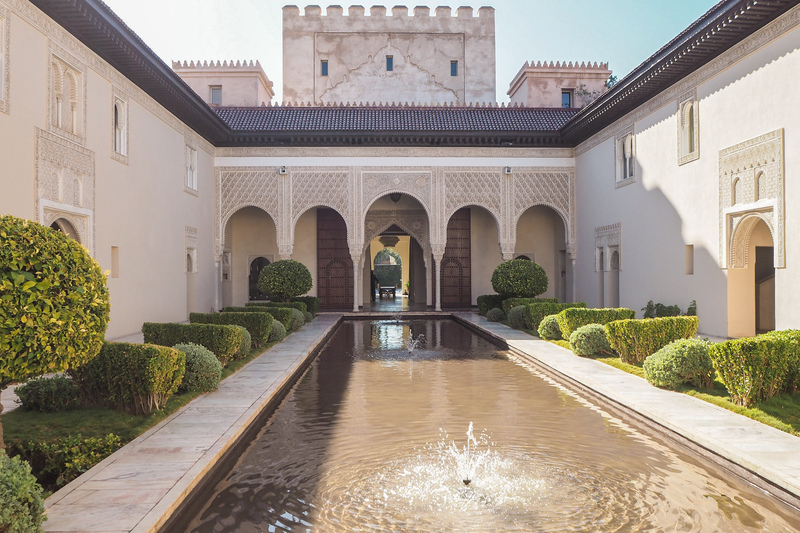 Featuring 12 rooms and suites inspired by the 14th century Moorish architecture with either a beautiful private garden, pool or a terrace. 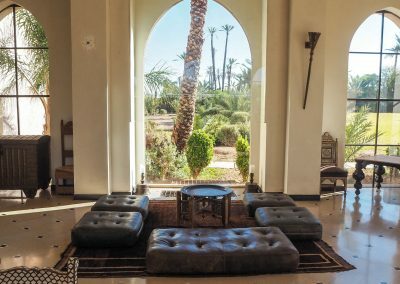 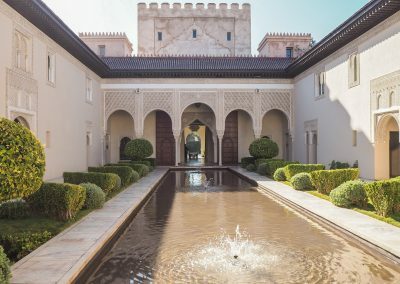 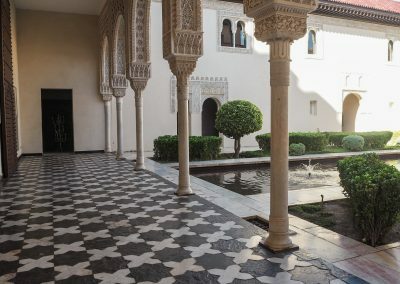 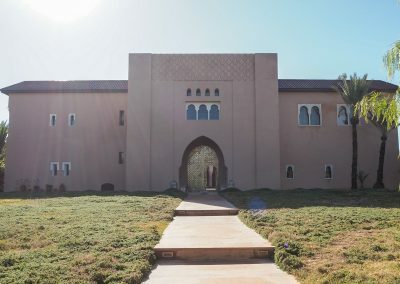 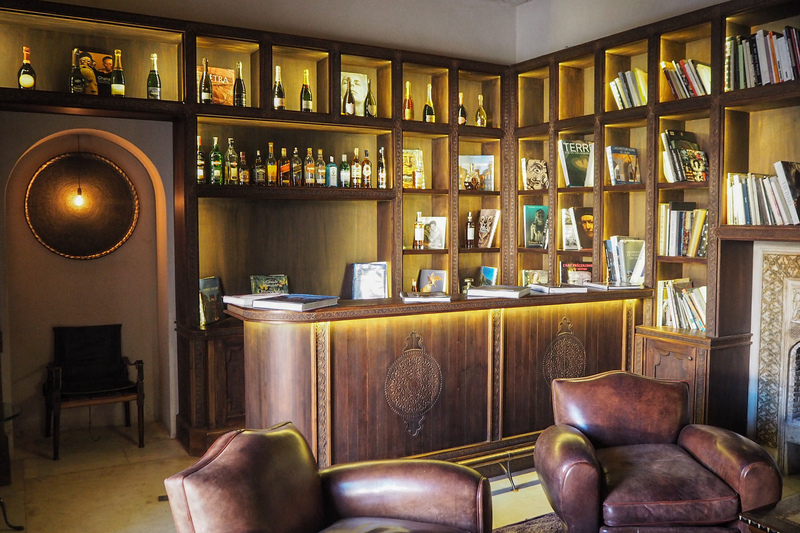 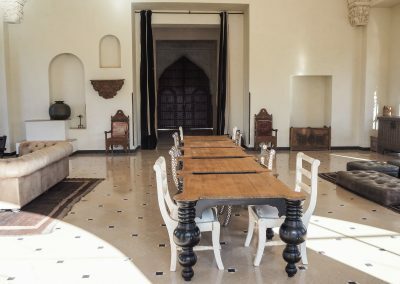 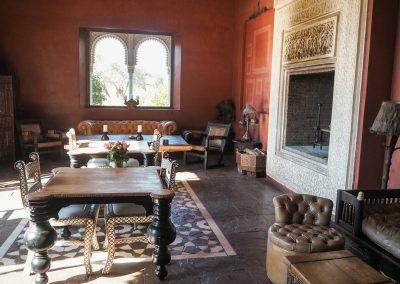 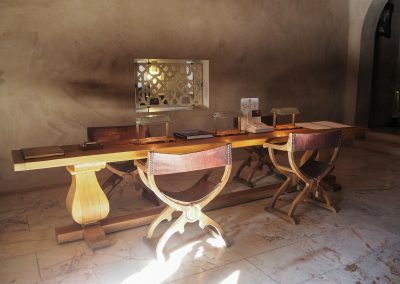 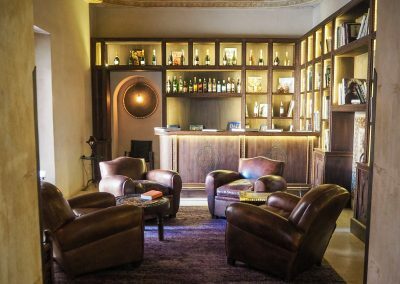 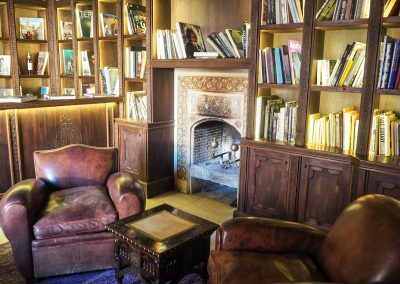 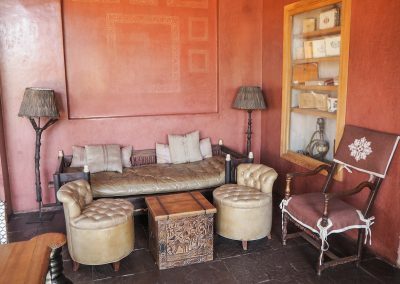 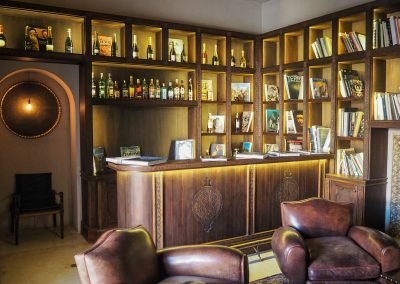 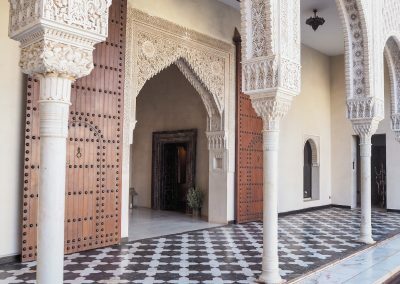 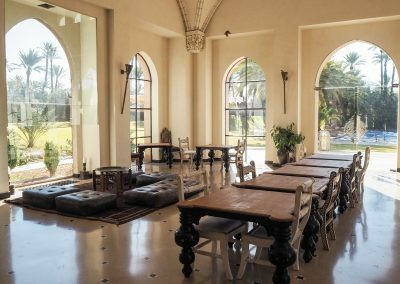 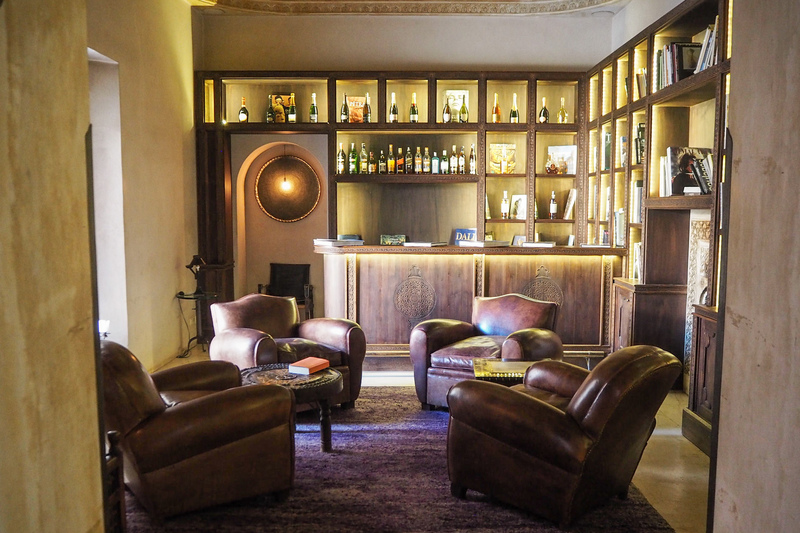 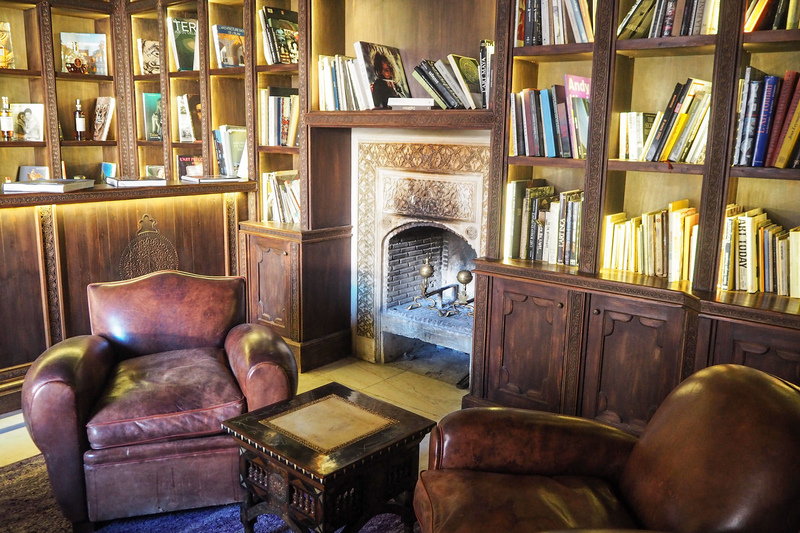 Ksar Char Bagh have a swimming pool, a library and a restaurant, The Grand Salon which offers its guests mediterranean and local cuisine, breakfast, afternoon tea and light meals. 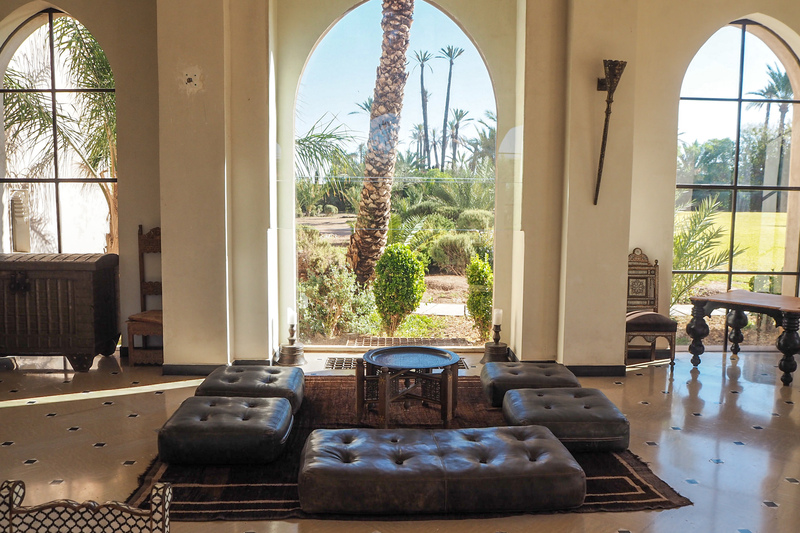 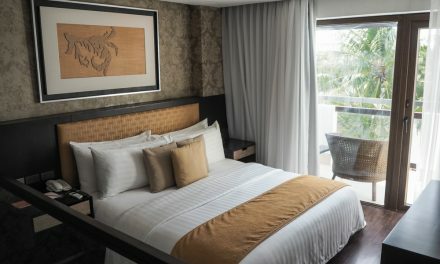 With complimentary mineral water in the room upon arrival, daily breakfast, Wifi and free private two way shuttle to the airport, Ksar Char Bag surely knows how to make your stay as relaxing and comfortable as possible. 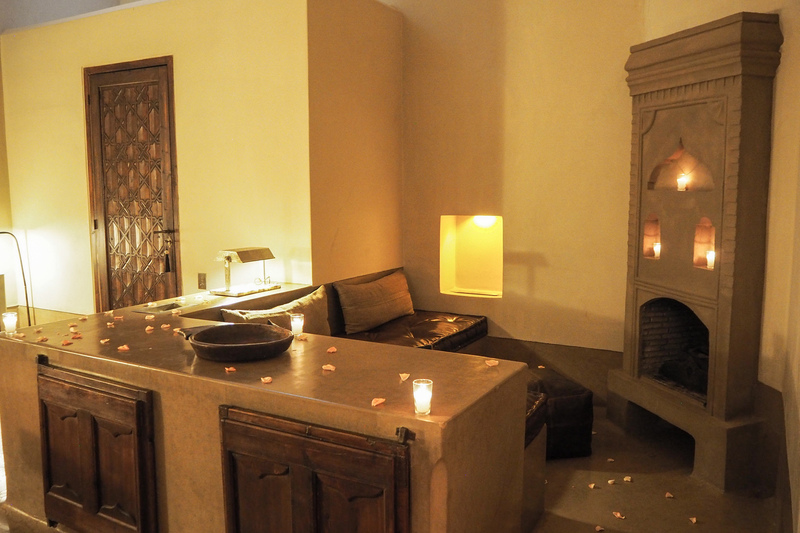 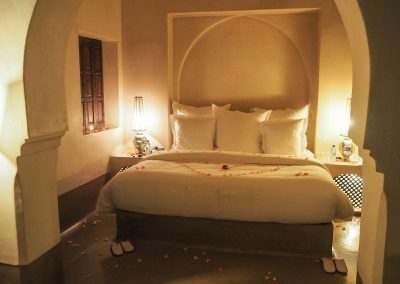 Our heated and heavenly scented room was decorated with pink rose petals as we entered the door. 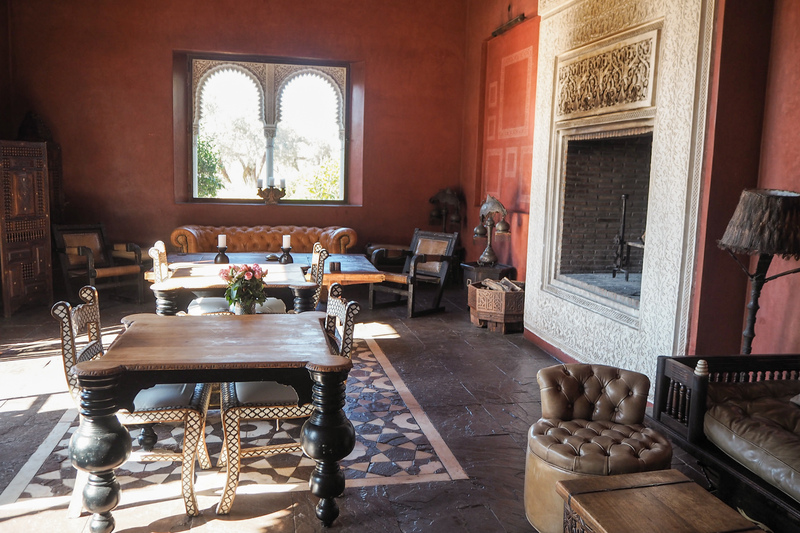 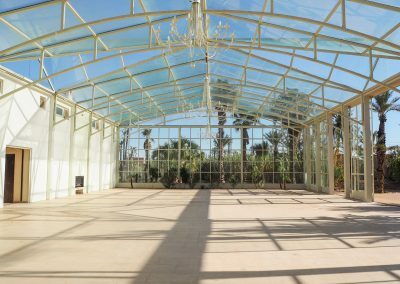 It features a private garden and is as big as 70 square meters with a sitting area and a fire place. 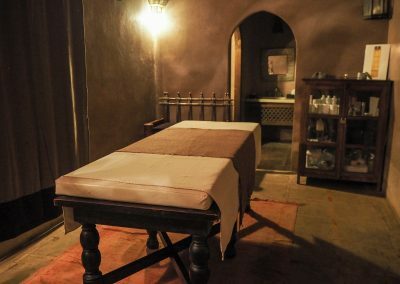 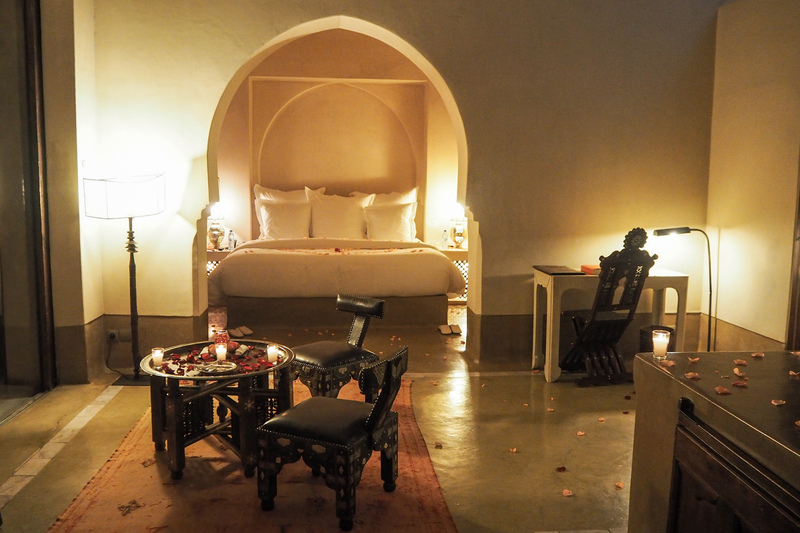 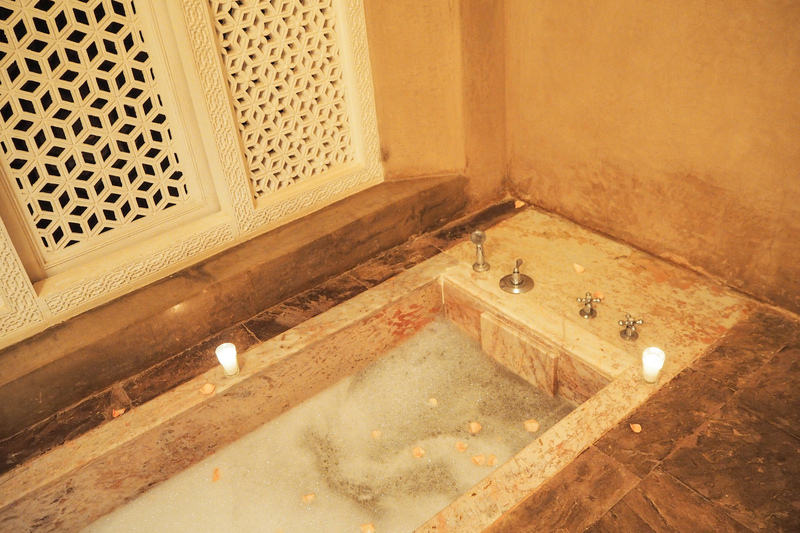 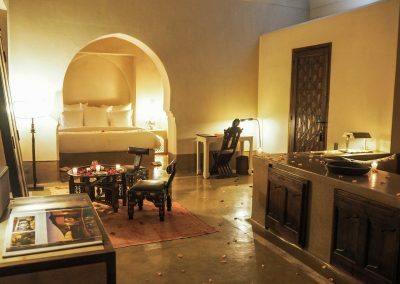 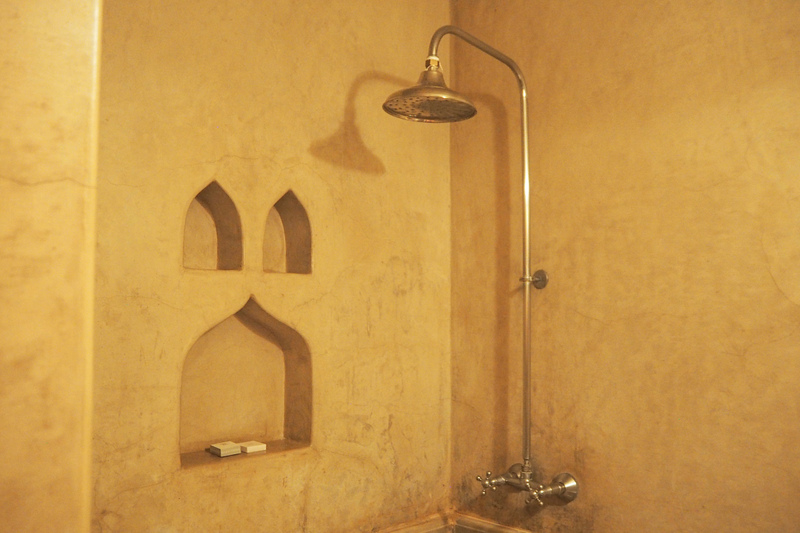 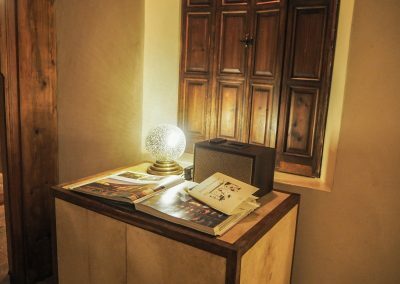 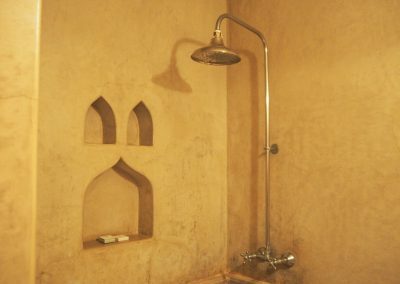 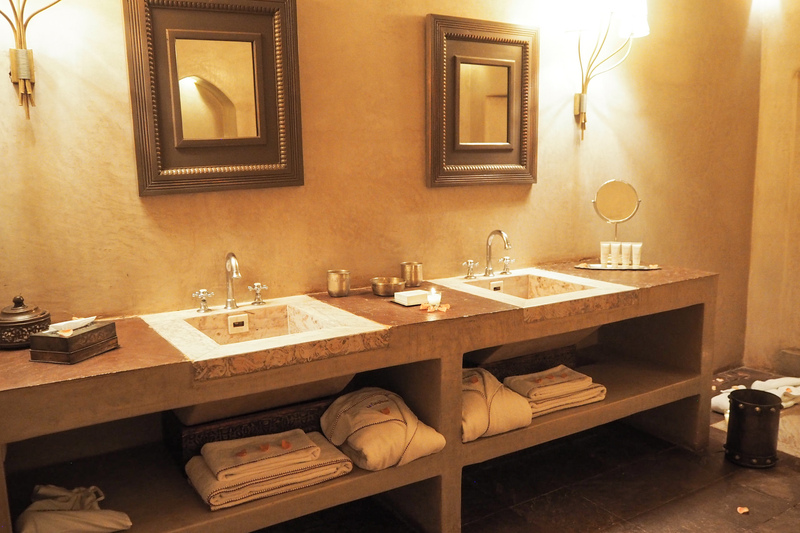 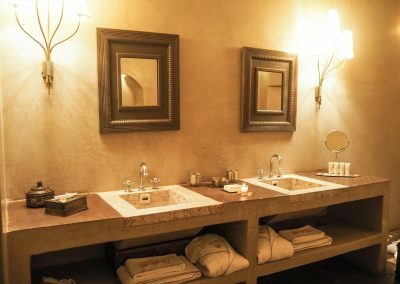 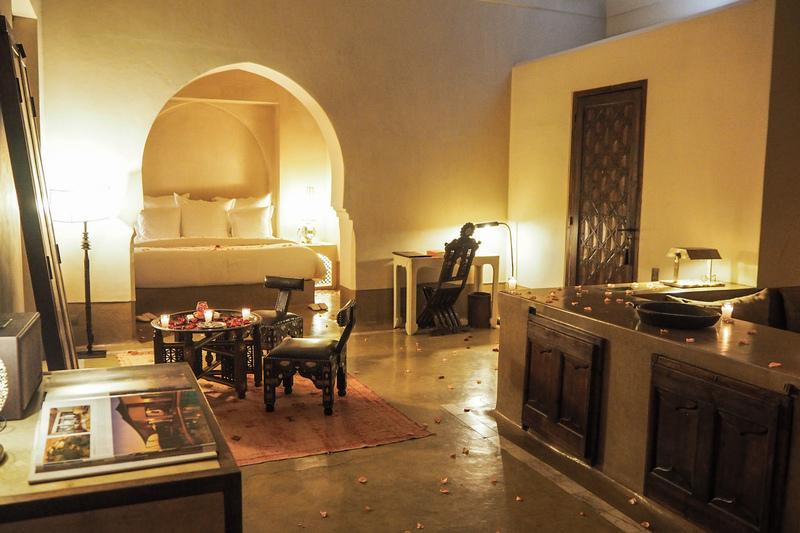 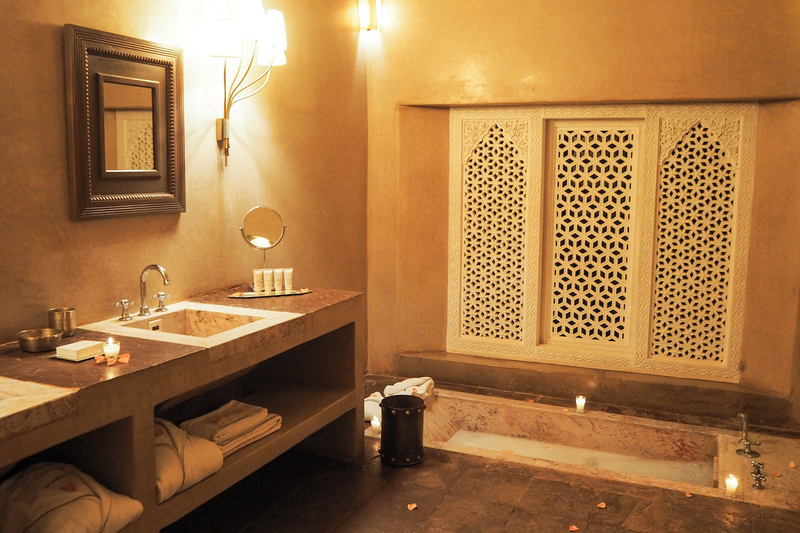 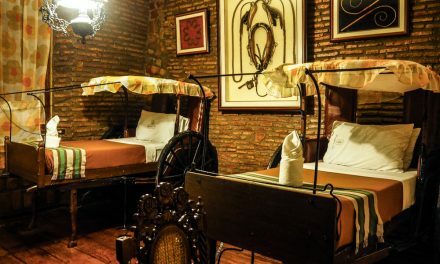 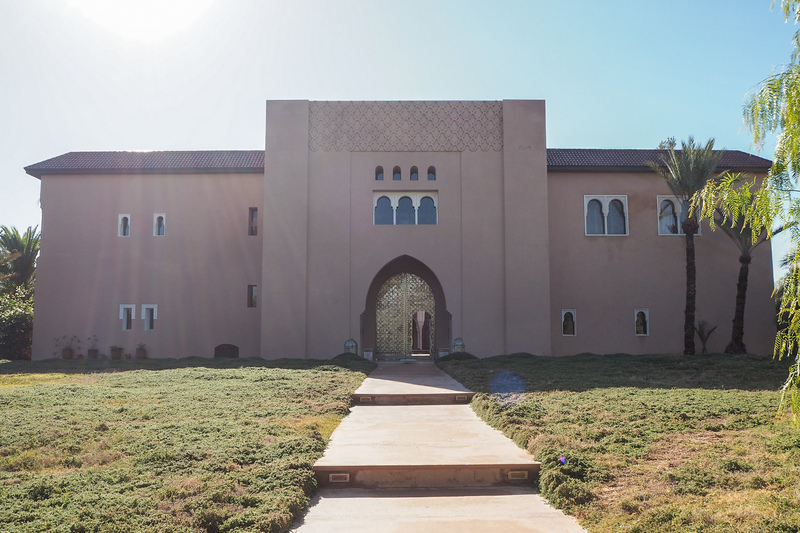 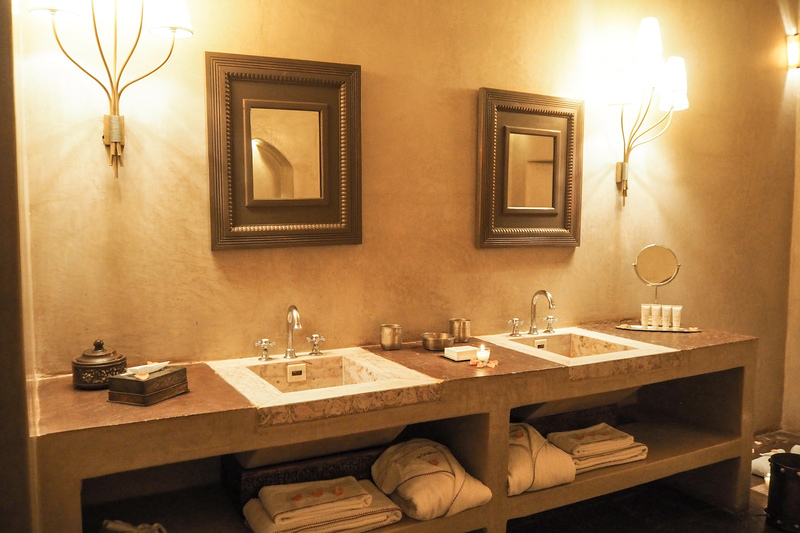 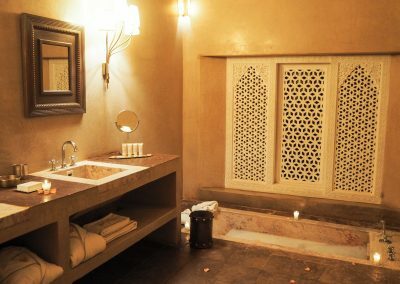 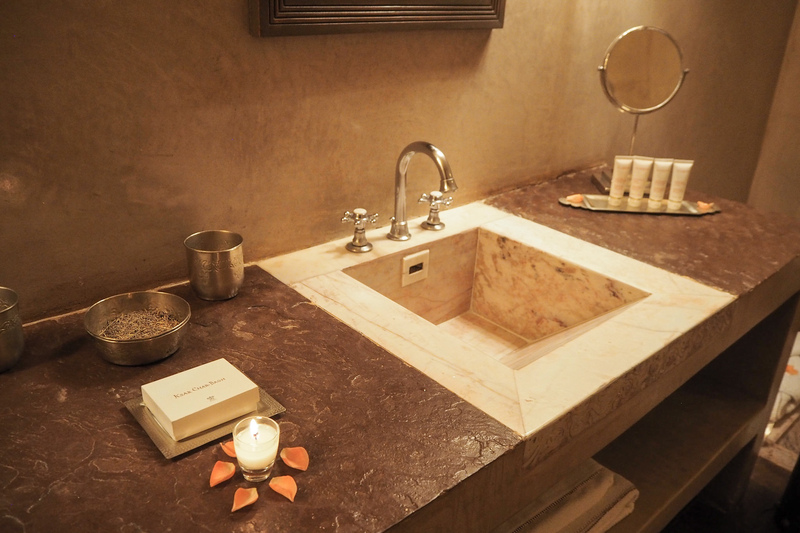 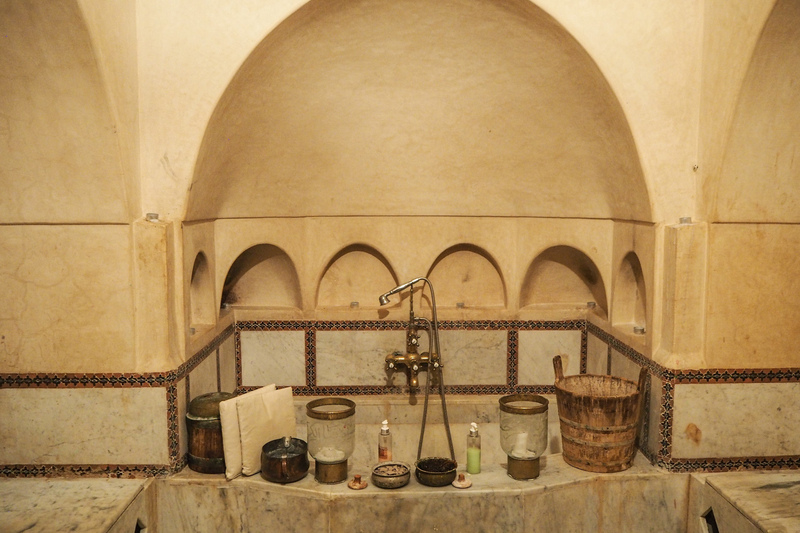 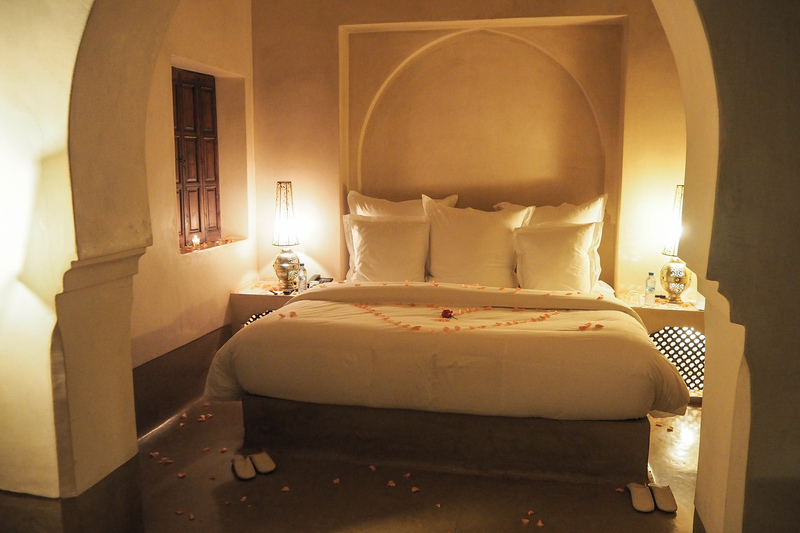 It also has a separate toilet with bidet, and in the next room you have the bathroom with a bathtub, a shower and free toiletries from Clarins special made for Ksar Char Bagh. 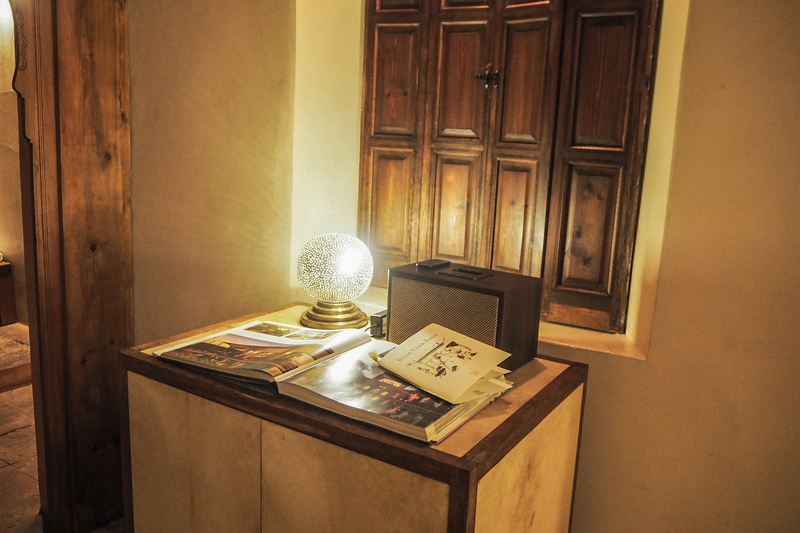 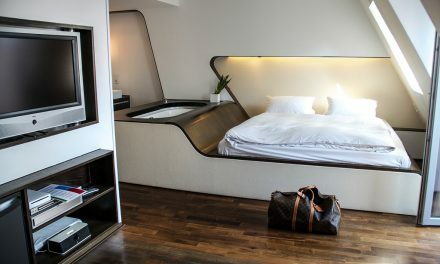 We also had our very own spacious walk in closet, working desk and a flatscreen TV with satellite channels. 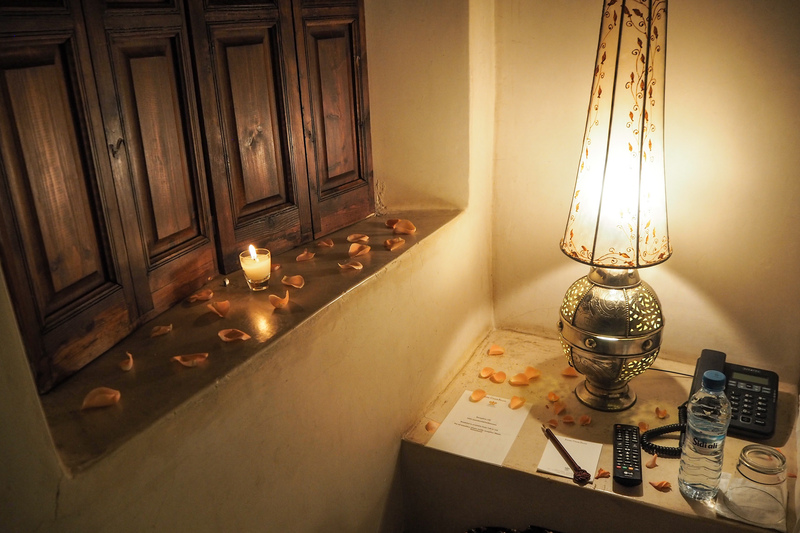 Summary The first things that caught my attention was how wonderful the scent in our dreamy room was. It was decorated with pink rose petals everywhere. 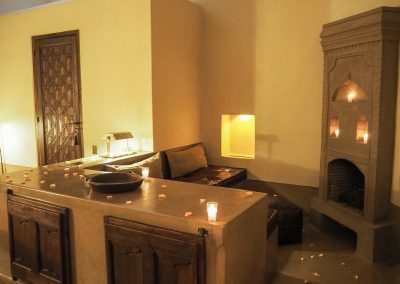 Leaving us feeling relaxed and calm, as if I was about to go to the spa. 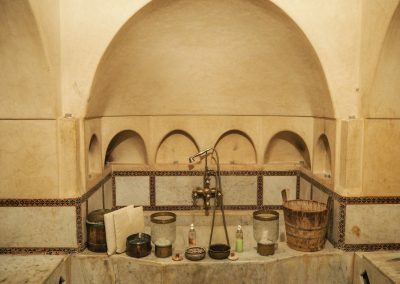 Our room was always clean and the bathtub was always filled with hot water whenever we came home from the city - just ready for us to jump in. 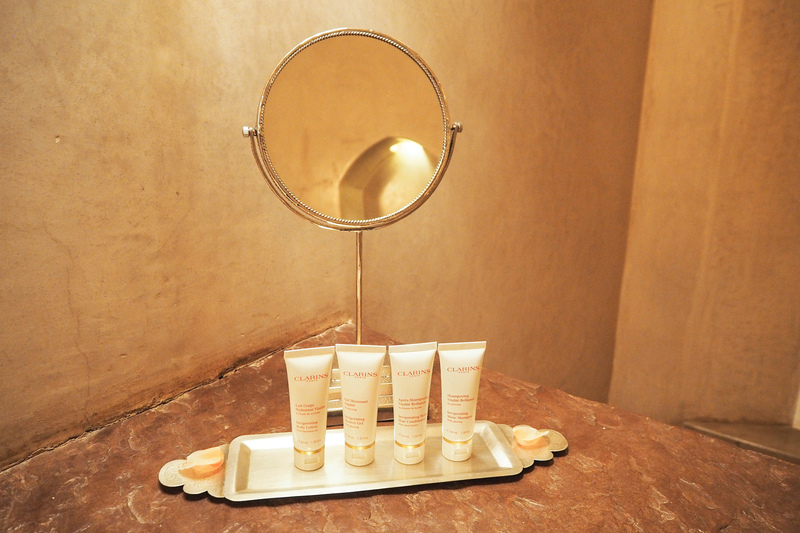 The creams, shower gels and lotions were smelling lovely, everything from Clarins. 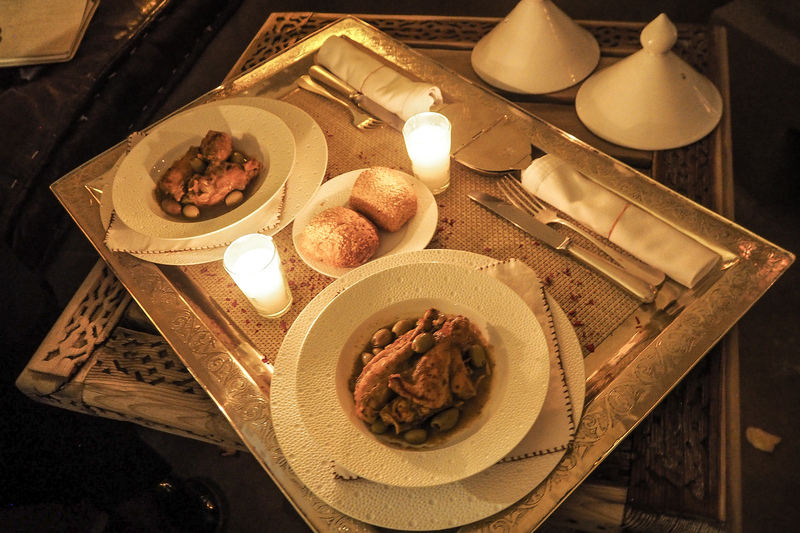 The food was delicious and thanks to the restaurant I have become addicted to pomegrenate. 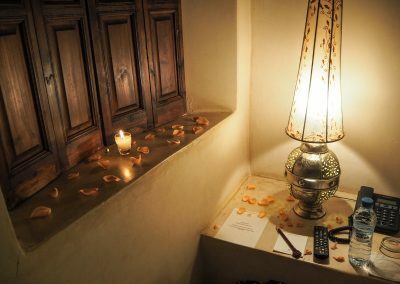 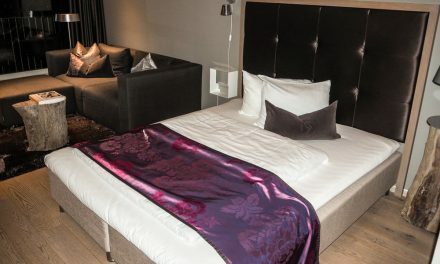 The service however was good, the staff always made sure our room was heated since it got pretty chilly during the evening.